Next event: The Resonance season ends April 28 with Yoshiaki Horiguchi, double bass & Soojeong Oh, piano in recital at St. Paul’s at 3pm! The mission of the National Music Festival is to present world-class celebrations of music and to provide affordable arts education and entertainment year round; as well as to foster economic development by contributing to the greater Kent County community as an arts and entertainment destination on the Eastern Shore of Maryland. to large symphony orchestra performances with chorus — and 200 free open rehearsals for music lovers from all over the world. administers vibrant community and youth programming including the Fiddlesticks! Youth Strings Program, an instrument loan program, the Resonance concert series, and The Phanos Project, which promotes the music of the composer Phanos Dymiotis. Resonance season finale! 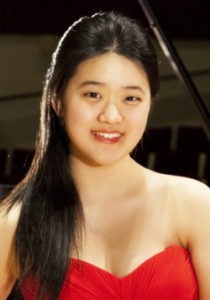 Yoshiaki Horiguchi, double bass & Soojeong Oh, piano on April 28 at 3pm at St. Paul’s. Music by Chick Corea, J.S. Bach, Andrés Martin and Ladah Finck. Click here to view the 2019 concert schedule.